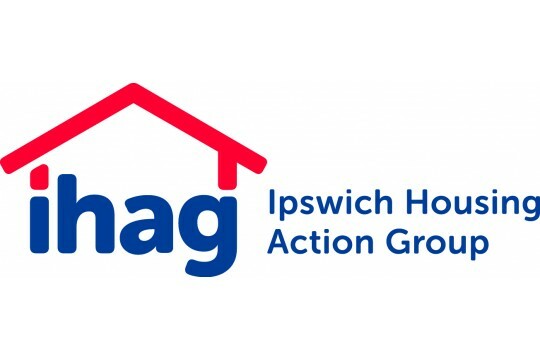 IHAG is an Ipswich based, local Charity which started in 1976 in response to lack of accommodation for single people in Ipswich. IHAG's provides services for, and campaigns on behalf of, marginalised, especially single homeless, adults. Each year we deliver housing/hostel accommodation for 80 people, money and debt advice to 3,000 individuals and families, and walk-in advice and support at the Chapman Centre, homelessness hub, to 1100 marginalised, homeless and rough sleepers. IHAG endeavors to keep people off the streets. We improve mental & physical wellbeing of homeless & vulnerable adults by resolving crisis and by raising their self-confidence & self-esteem. We improve their chances of sustained independent living though long-term engagement with various support services provided by IHAG and partners. IHAG provides: Rough Sleeping Outreach, Accomodation, Personalised Support, MoveOn Help, Benefits & Debt Advice, Training, Lunches, Showers, computer/phone access. An independent evaluation of IHAG Chapman Centre in 2016 found "No other organisations in Ipswich or around have wanted to take on this role and none have achieved the same integration of co-located services or acted as a homelessness hub, despite this role being identified as widely beneficial to clients and the community." The report also confirmed daily attendance average of 49.7 marginalised/homeless (clients), and over 400 new clients presenting annually. A kettle for our tenants to use. Feed 25 homeless, a subsidised meal. A 2-hour Money Management Training Session for up to 12 people.